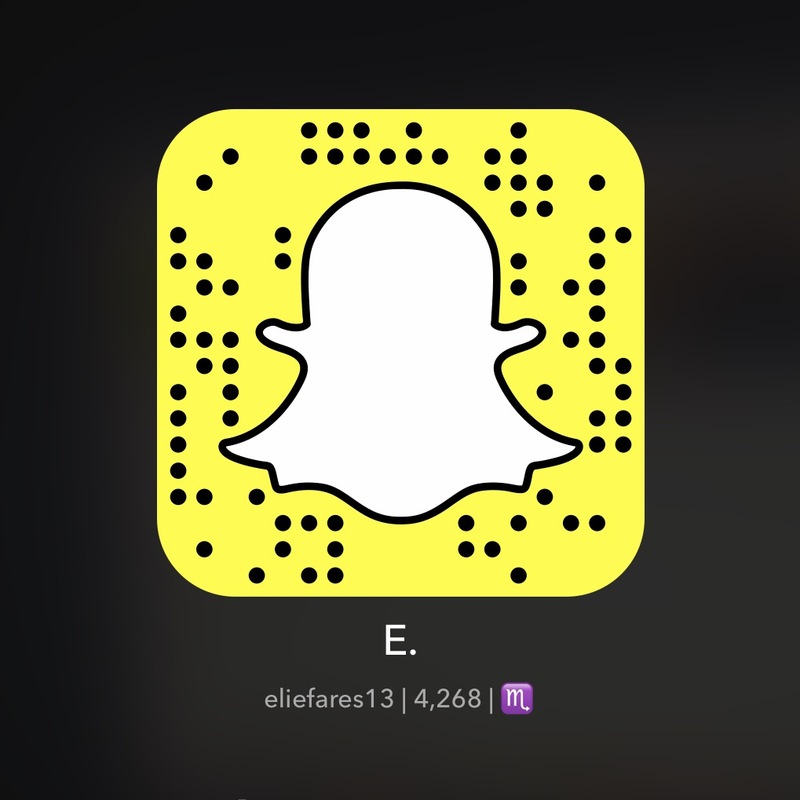 Posted on May 13, 2012 by eliefares Tagged ChildrenFightersLebanonSalafistsSoldiersTripoliviolence	Comments14 Comments on Children Fighters in Lebanon? Yes, Please. 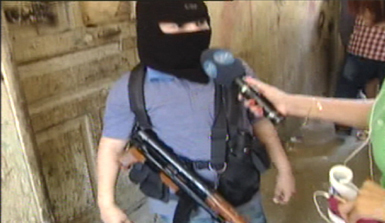 Children Fighters in Lebanon? Yes, Please. The kevlar vest is strapped. The mask is on. The riffle is on his side. His voice hasn’t even cracked yet. I never thought I’d see such a thing in Lebanon. I thought that, despite the poverty in some regions, such a thing was impossible to happen. I guess I was optimistic to the point of foolishness. The boy stands tall, proud of what he’s doing. This is perhaps the most troubling thing about the events taking place in Tripoli. Does this little boy have a future ahead? Perhaps. But his chances are decreasing with every bullet he fires out of the riffle. And with three people dead in Tripoli so far, I guess those chances are very slim now. If this is not enough reason to quickly and overwhelmingly contain the extremists in Tripoli, I don’t know what is. This entry was posted in Lebanon and tagged Children, Fighters, Lebanon, Salafists, Soldiers, Tripoli, violence. Bookmark the permalink. Have a look at recent Lebanese history. 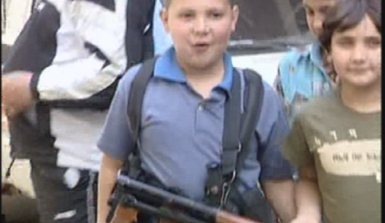 Plenty of child soldiers from every sect, including Christians in not-so-poverty stricken mount Lebanon. Recent as in the past ten years? I’ve never seen Christian children fighters. I’ve never seen Christian fighters to begin with. Whats the difference between 10 or 20 years? I was responding to your statement above: “I never thought I would see such a thing in Lebanon.” The fact is, Lebanon has a rich history of child violence. Today’s Lebanese ‘leaders’ hail from parties that actively recruited kids like the one you see above, and yes this includes Christian parties, who were known for their youth movements. Plus there have been several armed clashes in last ten years.The toxic mix of weapons and politically manipulated youth is by no means limited to a single group of “extremists” or territory or sect in Lebanon. I’m 22. Me seeing such things means they need to have happened in the past 10 years or so. This is not times of civil war, therefore what happened in the civil war does not apply. Christians had militias, obviously, and children fought in those. But they don’t today. My statement was more about year 2012 than year 1980. Sorry Habib bass ma fhemet chou khass el Christians wel Muslims? Deyman lezim ndira ta’ifiyye? This is a national problem as per the title of this article “Children fighters in LEBANON.” Elie here didn’t mention a specific sect. Today, these are child militants in Tripoli. It is what it is. Sadly there are extremists in every religion, yes. But let’s stop digging up vague examples of the past to sort of justify the present. Unless what you’re saying is extremism should be stopped in ALL religions, in which I think we’d all back you up on. But right now, right here, this has been openly publicized. I will not even mention what I think of the fact that they’re giving their kids weapons to begin with, but the fact that they’re displaying them so proudly is just appalling, illegal, and should be dealt with ASAP. I agree. As we both said, all religions have extremists and during the war everyone had child militants. But we’re not discussing that today. It’s 2012. This is something that shouldn’t exist. This is horrifying. So are the salafists low on men now? Apparently they are. But in all fairness, I have no idea whose side this kid is on. I actually have no clue who’s fighting in Tripoli. Must look at the news. The area where such things are happening needs serious humanitarian help. This should be a wake up call for those who can provide help to start. Even though after yesterday, some parts of this country are looking more like jungles. ← Syrian Jamming of Lebanese Phone Networks?